What packs a 110-proof punch, is made using a funky item called qu (“chew”), and has annual production equal to 4,000 Olympic-sized swimming pools? Baijiu! Here are a few frequently asked questions about this spirit and the annual event that promotes it. It’s an annual event, held each August 9, to promote baijiu, a Chinese alcohol that is pronounced “bye joe” and translates to “white spirit”. Baijiu is a clear alcohol made from one or more grains and typically has a kick of 38 to 55 percent alcohol. It’s the world’s best-selling spirit. More than whiskey or vodka!? Yes, and more than rum or gin, too. Baijiu represents about a third of global spirits sales. With annual production of more than 20 billion bottles, or over 10 million liters, that’s enough for everyone in the United States to fill a bathtub. Then why haven’t I heard of it? The vast majority of baijiu is produced and consumed in China. It’s used for holidays, business meetings, gathering with friends, and special occasions like weddings and Chinese New Year. Think of it as akin to sake for the Japanese or whiskey for the Scots. The goal of World Baijiu Day is to introduce people to this spirit by holding events in dozens of cities planet-wide. OK, so how is baijiu made? It’s a diverse category. From tiny Mom ‘n’ Pop outfits to huge operations with national distribution, China has thousands of distilleries. They use one or multiple grains to make baijiu: sorghum is the top candidate but rice, corn, wheat and others are used, too. Fermentation is done in everything from buried clay jars to centuries-old earth pits and the distilled end product is aged in a variety of vessels. Oh, and it uses qu. You mentioned that earlier. What is it? Some people equate qu with yeast but it’s more than that. It’s a brick of compressed grains that contains mold, bacteria, yeast, even tiny bugs, and kicks off the two-step process of turning grain starches into sugar and then turning that sugar into alcohol. It’s quite unique. Bugs in my booze? Hmm, what does it taste like? Reviews range from palatable to paint nail polish-esque. It depends on what kind of baijiu you try and your particular tastes. Here are the four main styles in one sentence each. Light aroma baijius are typically made in the north, are sorghum-driven, and are fruity, phenolic, slightly sweet and inexpensive. Strong aromas baijius, associated with the southwest, have a bigger and spicier body, more powerful aromas and flavors, and are pricier. Sauce aroma baijius, also linked to the southwest, are funkier—think savory herbs, soy sauce, stinky feet, anything with umami—and complex, and include some of the most famous and priciest brands. Finally, rice aroma baijius, produced in the south, are based on—you guessed it—rice, tend to be milder, and often have added flavors. Your experience also depends on how you try it. Many people are initially turned off baijiu because the traditional way of drinking it is ganbei-style. 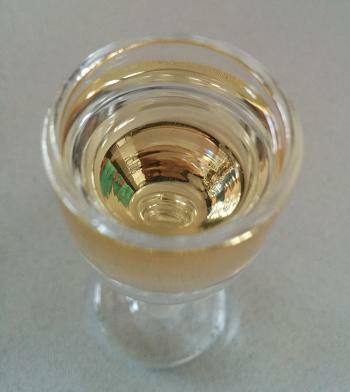 Ganbei is a toast that translates to “dry glass” and means “bottoms up”. Newcomers who knock back dozens of high-proof shots at lukewarm temperature don’t always tend to become fans of baijiu. That’s why the informal theme of World Baijiu Day is “beyond ganbei”. So, basically sipping it rather than shooting it? It means making baijiu accessible by presenting it in creative ways. Last year, some venues featured baijiu cocktails, liqueurs and infusions. Others did seminars and food pairings or provided flights to allow consumers to try different styles side by side. Some even used baijiu as an item in foods like ice cream, pizza and gummy bears. One chef deep-fried it, with delicious results! And these events all over the world? Yes, there were 30 events in 20 cities last year and more are expected this year. There are also a number of overseas baijiu brands. Some use baijiu sourced from continental China, such as byeJoe and Confucius Wisdom in the United States, while others use their own home ingredients, such as Taizi in New Zealand, Vinn in the U.S. and Dragon’s Mist in Canada. Sounds good. When is it? World Baijiu Day is on August 9, a date that sounds auspicious as its the eighth (ba) month and ninth (jiu) day. But some venues prefer to do multi-day events. Consider it a kind of baiju-fest. You can find a list of partners here. Note: World Baijiu Day was started by Jim Boyce, who is based in China and handles the wine blog Grape Wall, nightlife blog Beijing Boyce and charity blog Maovember. To get in touch, send an email to spirit (at) worldbaijiuday.com.